The Gold Coast has one the largest concentrations of theme parks. Visit a different amusement park every day of your stay. Dream World is where an amusement park has met a wildlife centre. Sea World is aquatic central with attractions and shows that are sea-related. Warner Bros. Movie World is a great place to go back to the future and be a kid again. There's a theme park for everyone on the Gold Coast. The landscape for theme park ticket deals is competitive and worth looking into. For people only visiting the Gold Coast for theme parks, there are 7-day super passes that will give you unlimited access to 3 of the best theme parks for seven days. Before you check your emails from your hotel bed, you have to check Surfers Paradise surf cam. See the waves break in real time, get up-to-the-minute surf info before you hit the beach to wave watch or surf. There are some great markets along the Gold Coast. Take advantage of the amazing weather, skip the malls, get a tan as you shop and support local artists and designers. For original boutique fashion and design head to The Village Markets on the first and third Sunday of every month. For a great night market with excellent street food head to the Currumbin Sanctuary Markets every Friday night. Bargain hunters will love Surfers Paradise Beachfront market every Wednesday, Friday and Sunday. The Bundall Farmers' Market is a great place to grab coffee and breakfast and see the best produce that the Gold Coast has to offer every Sunday morning. Milky Lane for a well-cooked burger and the best smoky maple glazed bacon. 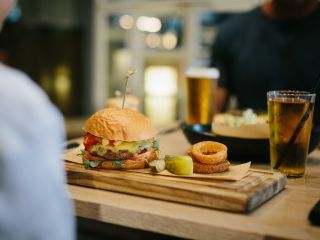 Social House for a juicy burger with crispy onion rings in a prime location in Surfers. Obsessions on Chevron for burgers with a tasty twist. Ze Pickle for craft beers and great tasting burgers with a juicy pickle on top. Standup paddleboarding (SUP) is a great way to get in some exercise, sightseeing and nature exploration on the Gold Coast. There are some great places to try it. Currumbin Creek, Tallebudgera Creek, Budds Beach come highly recommended for a morning, or afternoon of SUP. After, you can visit local eateries for something nourishing, filling and delicious. The cafe and restaurant culture on the Gold Coast is thriving at the moment, so there is no shortage of delicious combinations and options. Before a night out in Surfers, gather the girls and head to Social House for a high tea with a contemporary twist. Pair your delicious tower and boxes of afternoon treats with a glass of bubbly and celebrate with a sweet and savoury assortment of treats decorated with curls of chocolate and prosciutto. Smell the pine trees, watch surfers at their best, lie on the grass and look up at the sky as you spend a day at Burleigh Heads. Enjoy a burger or a serve of fish and chips as you watch the waves rolling in. After lunch, head to the conveniently located Burleigh Heads National Park with an amazing view from the top. Burleigh Heads is the reason you have a vacation - sun, surf, fresh air, blue skies and good food. The Glow-worm caves at Tamborine Mountain are a great place to take kids. There's a nice park to burn off energy in. The guides are super informative and friendly. 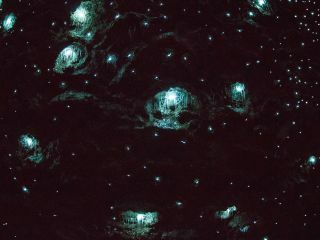 The cave that the glow worms are in is man-made, so this Gold Coast attraction is about educating the public and protecting the glow-worms. You can visit this attraction all through the day. Shop, eat and drink in this vibrant and prime location on the Gold Coast. Broadie is a great place to support local artists and designers. After a day of shopping, head to one of the great bistros for a modern Australian meal. After dinner, try your luck at The Star Gold Coast casino and win back the money you spent shopping and eating. This is a great day out for the whole family. Explore and splash in the rock pools at this small and cosy beach. Spend the day building sand castles or working on your tan. End the day with the sunset and a cold beer at the Rainbow Bay Surf Club. The SkyPoint Observation Deck is the highest point in Surfers Paradise. It's a short walk from voco Gold Coast and is a great place to start your vacation on the coast. Grab a milkshake for the kids and coffee for yourself as you play an awesome game of I Spy.